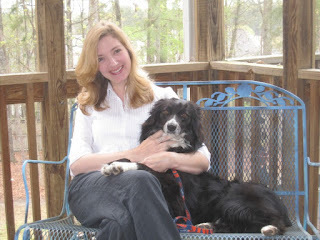 For the past 8 years we've enjoyed the companionship of our high-energy, sweet, protective, crazy Australian shepherd Ruby. She died this past Saturday, and we are feeling so sad, so lonely without her. Those of you who have beloved pets know what I'm talking about -- because you don't bring home that puppy or kitten without knowing that someday this day will come.